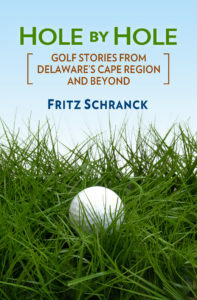 Pete Oakley’s victory in the 2004 Senior British Open at Royal Portrush, Northern Ireland means a lot to a whole bunch of Delaware golfers. They haven’t had a local pro to cheer about at this level since Porky Oliver finished second in the 1953 Masters Tournament. Oakley had a one-stroke lead going into Sunday’s final round. During the telecast of the third round on Saturday, BBC/ABC announcer Peter Alliss suggested that Oakley should be proud to finish his fourth round with a 76. It was all the more pleasant, therefore, to see Oakley surprise Alliss and thousands of others with a two-under par 70 that kept him in first place, one stroke better than Tom Kite and Eduardo Romero. Alliss reminded his Sunday audience about his somewhat dismissive comment from the day before, and graciously admitted he’d underestimated the man Cape Region golfers know as the Director of Golf at The Rookery in Milton. Word of Oakley’s triumph reached the Cape Region well before the ABC tape-delayed telecast finished that afternoon, thanks in part to Pete himself. Chris Adkins, a co-owner at The Rookery and its greens superintendent, was watching the play on the 15th hole when Oakley called him. Oakley wasn’t kidding. His approach shot rolled into a greenside bunker, and he made a great up-and-down for par and the victory. Adkins said Oakley told him he hit the ball extremely long during the tournament, and was really excited to be playing alongside Kite and Don Pooley and other Champions Tour golfers. He also told Adkins that the wind at Portrush was a tremendous factor. Nonetheless, Barrows couldn’t resist teasing one of his former assistants: “Pete said he was going to use the money to pay off some of his debts. I just hope I’m on that list,” Barrows laughed. Oakley faced an immediate decision about his next tournament opportunity, and wasted no time making the choice. On July 25 he called the USGA and accepted an invitation to play in the U.S. Senior Open this week at Bellerive Country Club in St. Louis, Missouri. After a flight back to the East Coast, Oakley then flew directly to St. Louis and began preparing for the same event in which he finished 35th in 2003. The Senior British Open win also qualified Oakley for a twelve-month stint on the Champions Tour, as well as the right to play in the next five Senior British Opens. Rehoboth teen golfing sensation Julia Robinson continues to impress golfers far beyond the Cape Region. On July 20 she won the Delaware Women’s Golf Association Junior Girls’ Championship at Maple Dale Country Club in Dover, with a two-day total of 151. This week she traveled to Oklahoma to compete in the Independent Insurance Agent Junior Classic, one of the biggest junior golf events in the U.S. Robinson made the cut after the first two rounds, and was tied for 25th when play was suspended for bad weather during the third round on July 28.